For MEMBER DISCOUNTS, go to the members store. 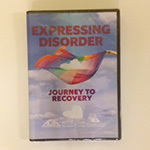 Presents eating disorder recovery stories that utilize two creative arts therapies- Dance Movement Therapy and Drama Therapy. These therapies provided an opportunity for the women whose stories are told, to express themselves when words and traditional psychotherapy alone were not enough. 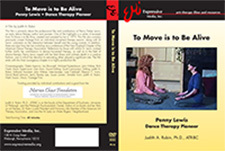 This 40 minute documentary features the work of Susan Kleinman, dance/movement therapist and Carol Dietrich, drama therapist. An inspiring documentary about women with breast cancer who learned to overcome some of the physical and psychological effects of the disease by participating in Authentic Movement groups. These groups were led by Janet Adler, Neala Haze and Tina Stromsted, and were based on the doctoral dissertation (1989) of Sandy Dibbell-Hope, which was supported by a grant from the Marian Chace Foundation of the ADTA. Produced by Joanna Harris in 1999, this 45 minute video is a historical and archival project meant to preserve Whitehouse's significance to dance/movement therapy. It includes Whitehouse teaching a class and interviews with Jane Manning, Cathy McFann and Neala Haze. 1983 film directed by Norris Brock, produced by ADTA, and narrated by the late Christopher Reeve. 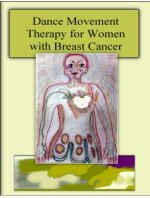 The film shows five different therapists working with a variety of patients. Winner of Dance Film Festival Award. 30 min., color. 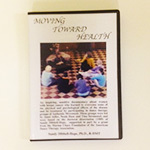 Dance/Movement Therapy for Women with Breast Cancer is an 11 minute educational tape about the use of dance/movement therapy in a 12-week support group for women living with breast cancer at California Pacific Medical Center's Institute of Health and Healing. It was supported by a grant from the Marian Chace Foundation of the American Dance Therapy Association. $40 for both Janet Adler films.